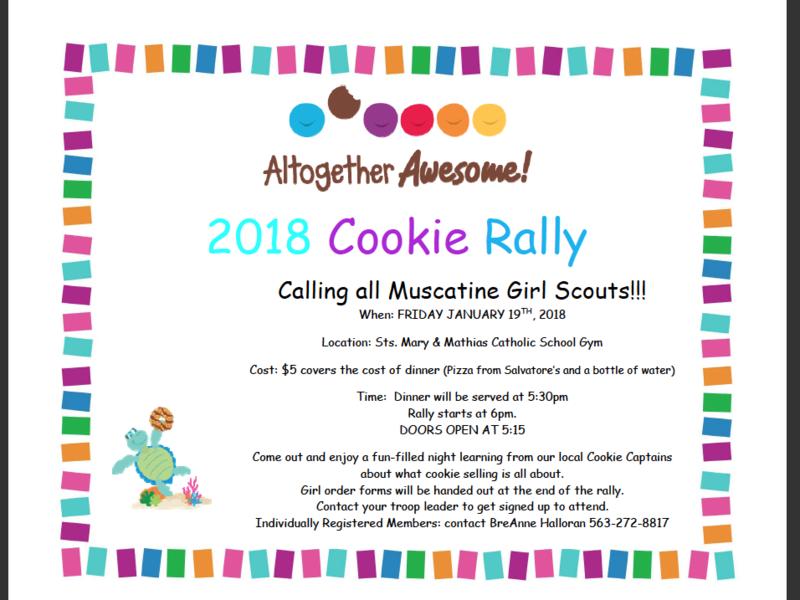 Calling all Muscatine Girl Scouts!!! Come out and enjoy a fun-filled night learning from our local Cookie Captains about what cookie selling is all about. Cookie order forms will be handed out at the end of the rally. Contact your troop leader to get signed up to attend.